We are grateful for all of our customers and work hard to build long-lasting relationships with all of them. We strive to completely satisfy our customers. At Wilson, we commit to providing high-quality products at competitive prices. We offer short lead times, prompt customer service, as well as on-time delivery, ensuring a high degree of customer satisfaction. We strive to contribute positively to a better environment. We start from reducing water and solid waste pollution from our factory. We also focus on recycling materials throughout manufacturing. 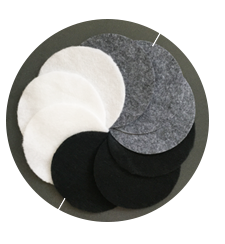 Introduce a variety of eco-friendly products made using high quality recycled polyester fibers. Achieve environmental impact compliance by reducing water and solid waste pollution. 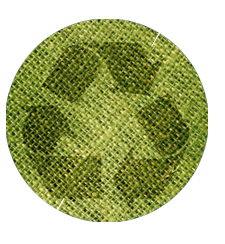 Reduce unnecessary raw material waste by recycling and utilizing excess polyester fibers. Upgrade to energy efficient air conditioning, LED lighting and solar water heating. POLAR BEAR® is a registered trademark of Wilson Non-Woven Products Co., Ltd. 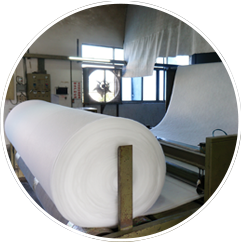 Since 1980, Wilson Non-Woven Products Co., Ltd. is one of Hong Kong's leading manufacturers in the polyester wadding, quilting and non-woven industries. Our own production facility is strategically located in Dongguan, a major industrial and economic hub in China. We have 6 production lines with a capacity of one million yards per month. 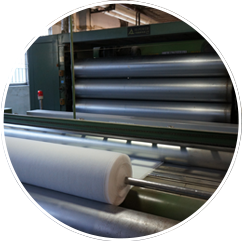 Wilson specializes in manufacturing a wide range of non-woven products with superior thermal insulation and special finishings. At Wilson, our clients will enjoy the convenience and benefits of a “One-Stop” service. 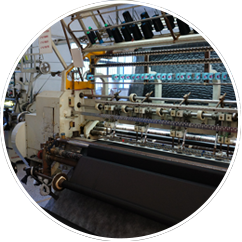 With our extensive experience in outdoor garment manufacturing, we understand our customer needs and will deliver quality assurance to our customers. 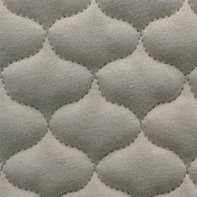 As an established manufacturer of non-woven products, Wilson is committed to product quality. Our products are compliant to both international and domestic standards, including OEKO-TEX® Standard 100, REACH, National General Safety Technical Code for Textile Products, flammability standards, etc. based on customer requirements. Our Dongguan factory is strategically located in the Pearl River Delta in China, and near the Changping Railway Station. We have a great geographical advantage in our logistics and product delivery. Copyright © Wilson Non-Woven Products Co., Ltd. 2019. All Rights Reserved. Our Polar Bear® thermal wadding offers superior thermal insulation and comfort. 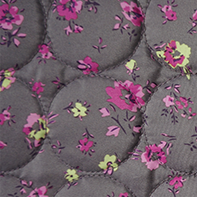 Made of premium polyester microfibers, it is suitable for use in winter fashion wear, sportswear, bedding, etc. 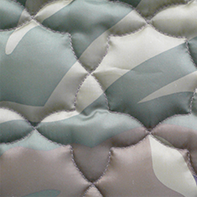 Our feather comfort touch wadding offers excellent thermal insulation and silky finishing. 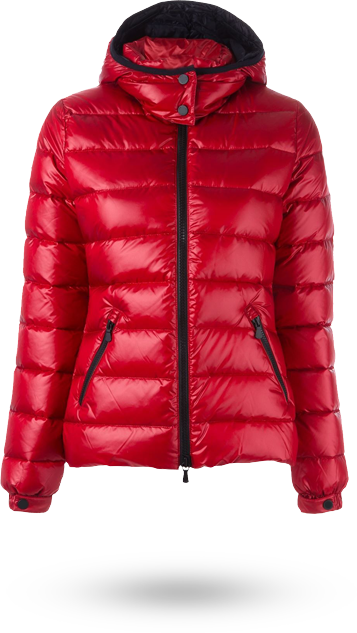 Made of premium polyester microfibers, it is suitable for use in fashion outerwear, ski wear, bedding, gloves, etc. Our washable wadding offers performance thermal insulation and durability. 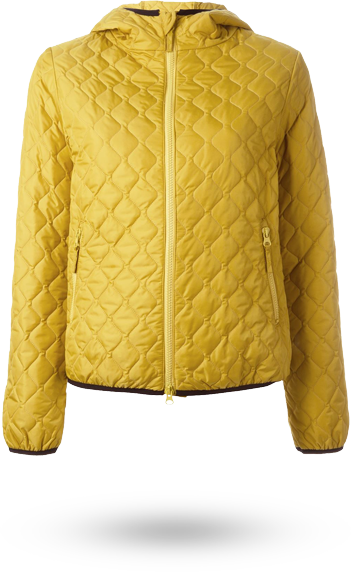 Made of premium polyester microfibers, it is suitable for use in winter wear, quilted knit/denim outerwear, gloves, etc. 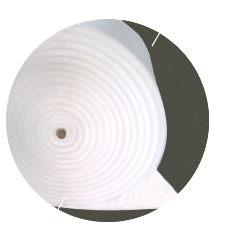 Our fire retardant wadding is made of quality polyester fibers. The flame retardant property makes it suitable for use in industrial workwear, baby products, toys, furniture, etc. 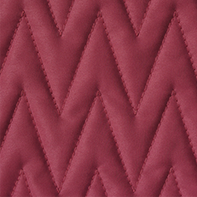 Our non-woven interlining is available in various colors and thicknesses. This needle punched interlining is suitable for use in garments, intimate apparels, handbags, hats, footwear, bedding, furniture, soundproofing felts, etc. Our fire retardant non-woven interlining is available in various colors and thicknesses. 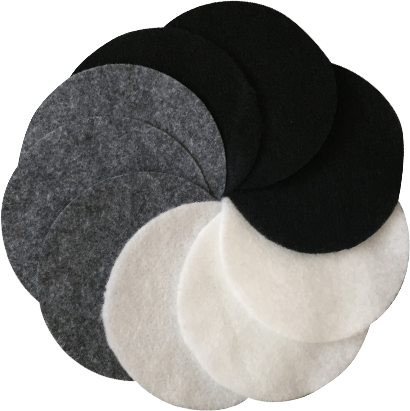 The flame retardant property makes it suitable for use in garments, intimate apparels, handbags, hats, footwear, bedding, furniture, soundproofing felts, etc. 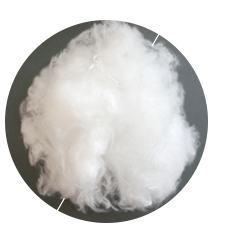 Our cluster fiber fill is versatile and widely used in the garments, toys and bedding industries. 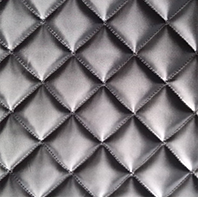 Made of quality polyester fibers, this fiber fill is breathable, resilient and a worthwhile down alternative. 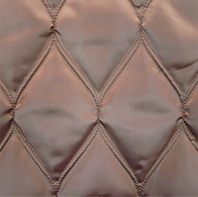 Our microfiber fill offers excellent thermal insulation and a superior down alternative. 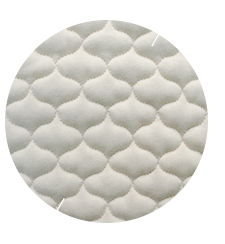 Made of premium polyester microfibers, this feather-like fiberfill is suitable for use in outerwear, pillows, bedding, etc. 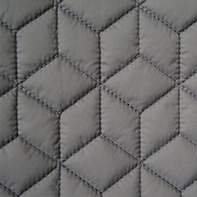 Our computerized quilting service offers many unique and fashionable designs. We offer this as an add-on service to our wadding or needle punch interlining products. 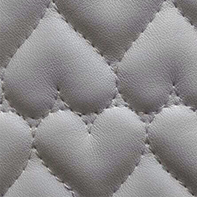 This quilted wadding is suitable for making outerwear, coats, handbags, bedding, etc with a stylish design. Our ECO thermal wadding offers performance thermal insulation that is also environmentally friendly. This series is available in various weights and product characteristics to meet every need. 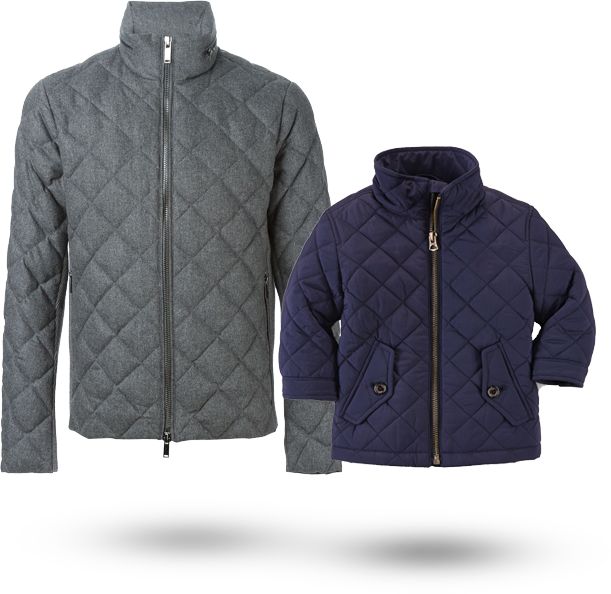 Made of recycled polyester fibers, it is suitable for use in outerwear, children's wear, bedding, gloves, etc. 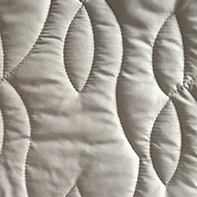 Our ECO non-woven interlining is made of recycled polyester fibers. Available in various weights, this eco-friendly needle punched interlining is suitable for use in garments, intimate apparels, handbags, hats, footwear, bedding, furniture, soundproofing felts, etc. Our ECO fiberfill offers performance thermal insulation that is also environmentally friendly. 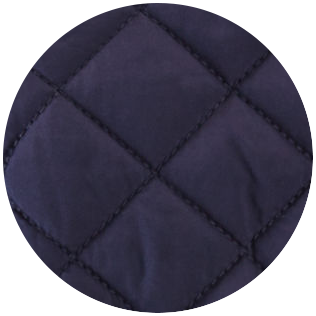 Made of recycled polyester fibers, it is a worthwhile down alternative and suitable for use in outerwear, toys, bedding, etc.